Last evening, by a vote of 92 – 8 the Senate passed H.R. 2, legislation that would permanently repeal and replace the Medicare Sustainable Growth Rate formula (SGR). There were six amendments offered during floor consideration and all were defeated. Therefore, the Senate has passed the bill in the identical form as the House passed version. This means that the bill can immediately go to the President for his signature. The President has previously agreed to sign this bill into law. Once signed into law by the President, this bill immediately repeals the SGR, retroactive to April 1st therefore averting a 21% reduction in Medicare fee-for-service (FFS) payments to providers. It replaces the SGR with a new payment system that includes automatic payment updates for physician fee schedule payments for five years, transitions Medicare FFS payments towards a value-based payment system and incentivizes the development and participation in new, alternative payment models, among other notable provisions. It is not clear how quickly CMS will be able to reprogram the claims processing computers to prevent claims scheduled to be paid today (April 15th) from being subject to the SGR cut. We expect CMS to make a quick announcement soon on their plans now that the SGR will be repealed. NCG Medical will communicate any announcements to the membership as soon as we receive them from CMS. 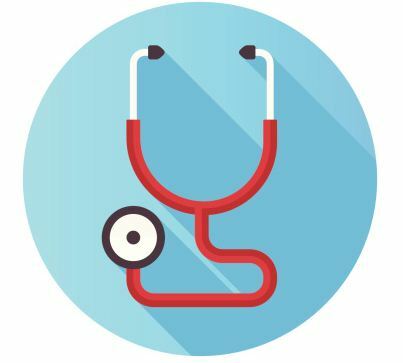 Although it is possible for CMS to continue to hold any claims submitted with a date of service on or after April 1st, at this time we do not know whether CMS will exercise this discretionary authority. NCG Medical will be sending out a more detailed analysis of H.R. 2 in the near future.